Gate for the entrance of our flat is beneficial to us as it provide solid security providing us with a “peace of mind, and if you have pets or children at home, you will be able to breeze open or close even with them around! Though with high technologies such as Closed-circuit television (CCTV) installed outside our flat and Singapore is protected by our police force with high efficiency rate. The presence of strong metal gate will definitely make a difference to our security. Gate is basically the first things that greet all our guests. Choosing and installing a modern & stylish gate would surely whet the appetite of what your home will be like behind your closed door. Many of us understand that gate is like an extra accessories to our home which will also leave an impression to our flat. The standard gate when we bought over the flat may not be appealing so many of us will seek assistance from manufacturer to customize or by a new gate according to our preference. When we bought the flat, it may be a standard aluminium framed gates. Many of us change to customize galvanized wrought iron gate which are proven to be stronger and longer lifespan. 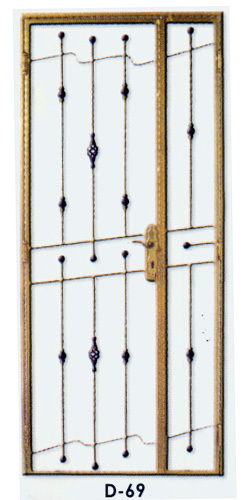 Wrought iron gate can bring splendid charm and beauty to the exterior decoration of our flat. It will be able to change the look of your home. Our recommendation will be wrought iron gate, not normal steel gate as there is a difference in durability and strength. For wrought iron, it can be customized into your desired shapes for your gates and there is also a variety of available ready-made gates in the market too. 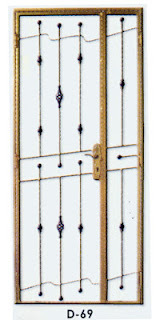 Aluminium Wrought Singapore provides gate solutions offering aesthetics, cost effective and security to all our clients. We ensure that all gates are installed perfectly with proper locks. We pride ourselves in providing reliable service and quality workmanship. We do not believe to advertise the cheapest price to attract more clients. We believe in serving all our clients honesty at an affordable and reasonable price.